Have you ever wanted to taste something, again and again and again? This is what my mom wanted to do when we were in France. My mom doesn't have much of a sweet tooth (maybe she is just already sweet enough); however, she loves the French inspired taste of roses. I have had the lucky chance to go to Paris myself. There we had so many great foods. 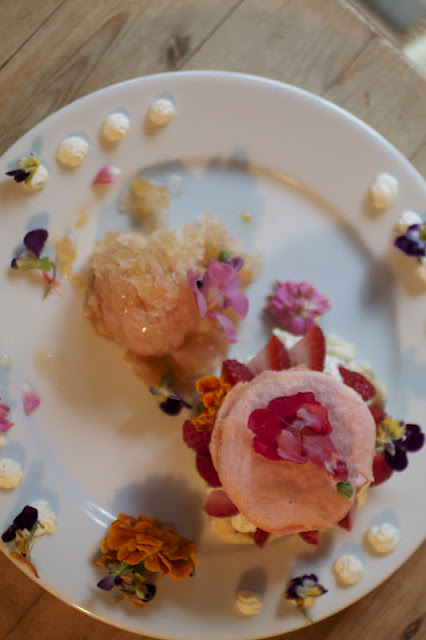 At a restaurant called Au Trou Gascon we ate a great dessert with a rose macaroon, creamy white chocolate mousse, strawberries and candied litchis in jelly and a rose sorbet. My mom loved it! 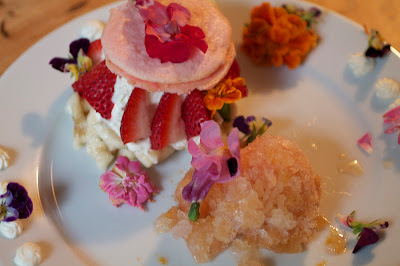 For mothers day I set out to surprise her by remaking this dish and adding my own personal touches. I know I couldn't take her to Paris, but I took Paris to her! 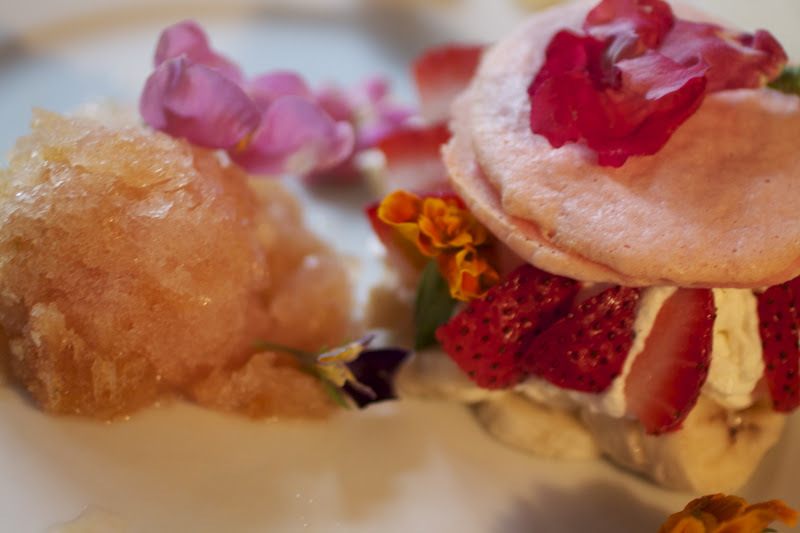 This is a rose macaroon on top of piped chantilly cream and fresh strawberries, accompanied by a rose and prosecco granita and all topped with edible flowers!